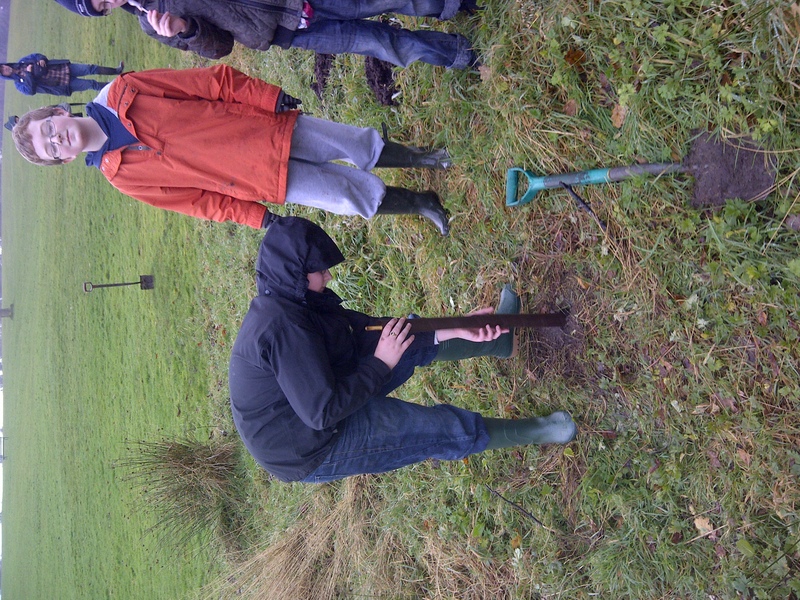 Afternoon was a great success for the tree planting. We had a great turnout from the Scouts who helped us get the rest of the trees planted. What we did notice though was the sheer number of members of the public who turned out to help. With 20 people in the morning and about 30 in the afternoon that was a great turn out. The trees were planted in 8 different locations throughout the park. and hopefully they will remain weather and vandal proof! The rain came on in the afternoon after a dry morning but it didn’t seem to deter folks. it’s great to see that the people of the town are willing to come out and support their local park. With the trees and the interpretative panels it’s been a great year for the Friends of the park as we’ve managed to make a lasting difference to the park and the people using it. Long may this continue and long may the community spirit shown today in the park! Thanks so much to everyone who turned out today – you were a credit to the town! 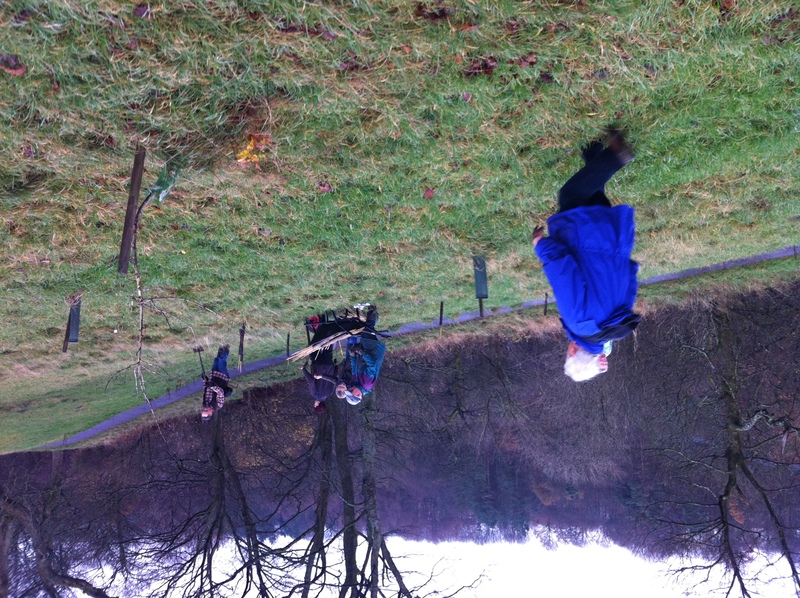 Tree planting in the park. Today we are planting trees in the park. The group recieved a package of 420 trees from the Woodland trust and we’re planting in two sessions. The morning session was a great success with about 20 people in total turning out to help out with the planting. 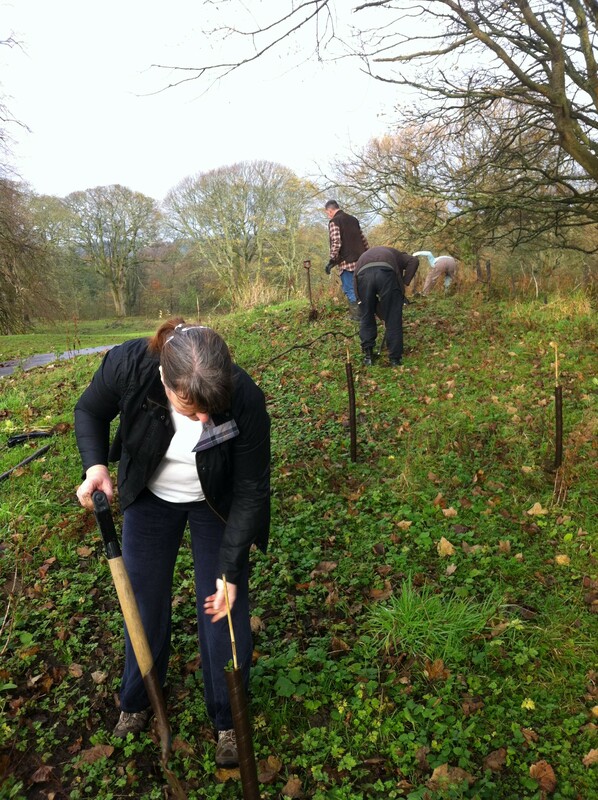 After another session last Wednesday we are well on our way to have all the tree’s planted. One final session will take place at 2pm this afternoon. Check out some pictures from the morning session below. New guides to the Park! 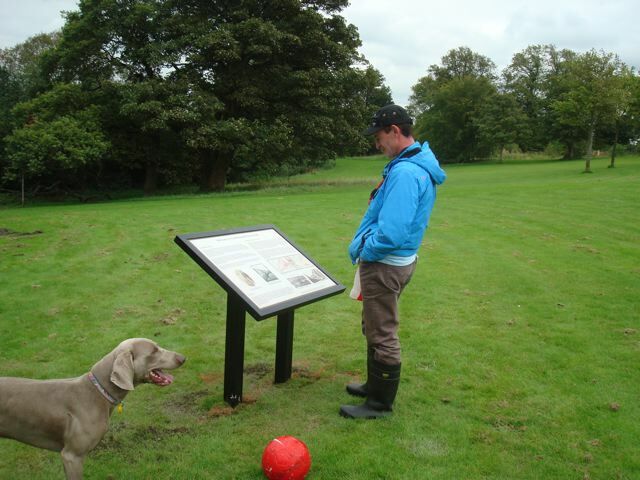 This Saturday (3rd September) will see the unveiling of a year long project for the friends of Cumbernauld House Park. 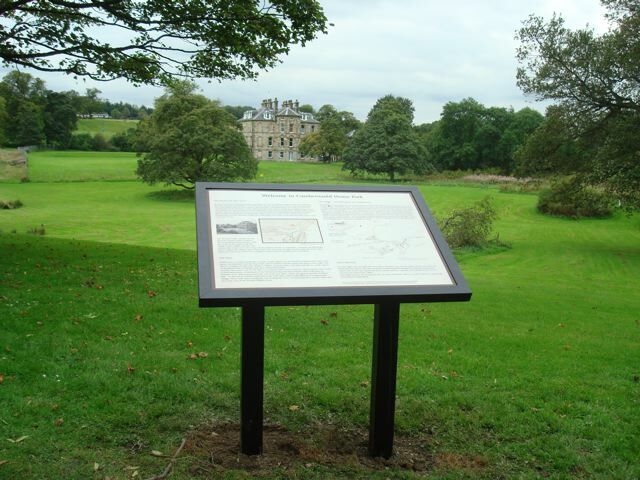 The team has been working hard to put together interpretative panels for the park so that park users and local people can have a greater insight into the history of the park and town as well as the Flora and Fauna of the area. The project has been helped by assistance from Awards for All, AG Barr and Highland Colour Coaters Ltd who have all lent their support to this community project. The panels have information on the two Cumbernauld Castles, Gregory’s Girl filming, visits from Mary Queen of Scots, Cumbernauld New Town and excellent insights into why Cumbernauld House looks the way it does as well as a look at the trees and wildlife of the area. There are lots of interesting pieces of information across the 5 boards throughout the park. The panels will be unveiled at 10am on Saturday by local MP Gregg McClymont and the Friends hope to have representatives of the funders there also. All are welcome to come along and see the unveiling of a new permanent feature for the biggest park in North Lanarkshire. 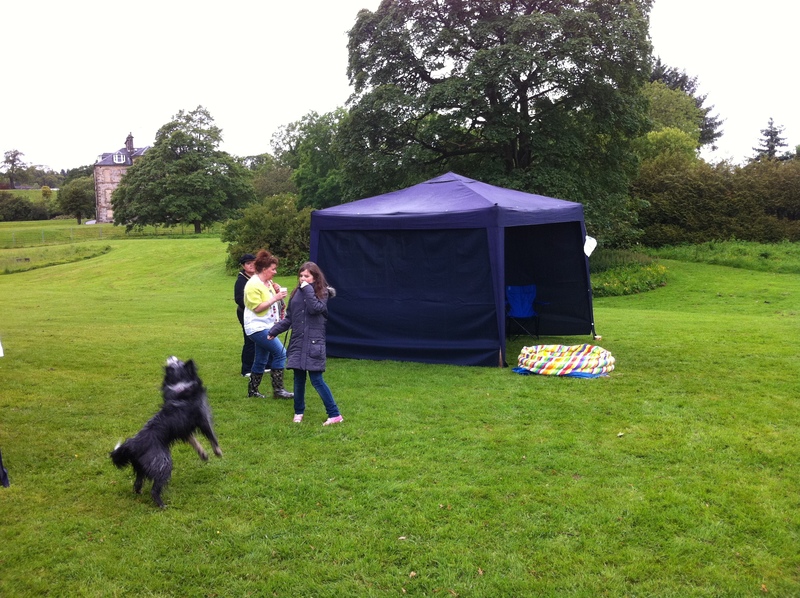 Saturday was the Fun day in the park arranged by the Friends of the Glen and ourselves. Despite the weather there was a great turnout with well over 100 people coming along to take part in the festivities . The day was split across 5 different tents and lots of activities. Wood carving was in one tent where children could watch as an expert at wood carving created whistles for them. Kids could win a prize in the hook a duck competition and learn how to make a bird feeder in another tent. 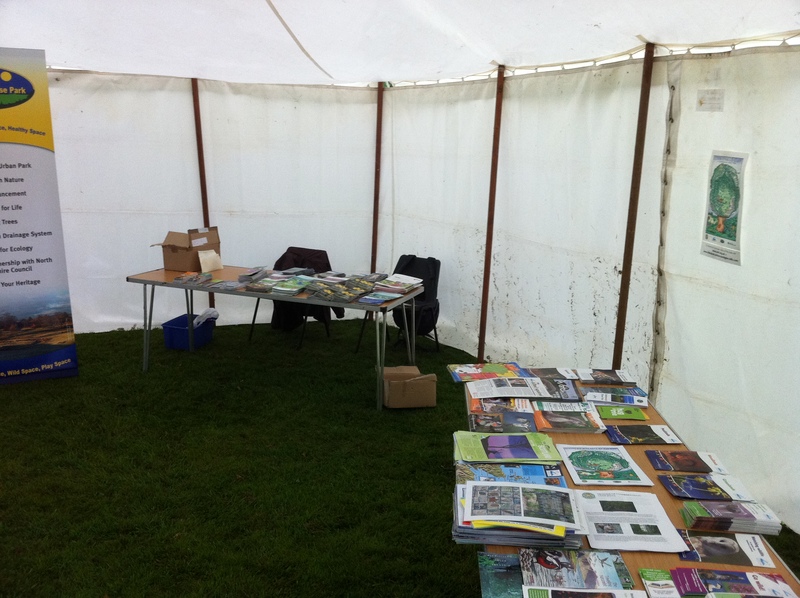 The main tent housed the friends of the glen planting workshop and plaster moulding as well as quizzes and colouring sheets. 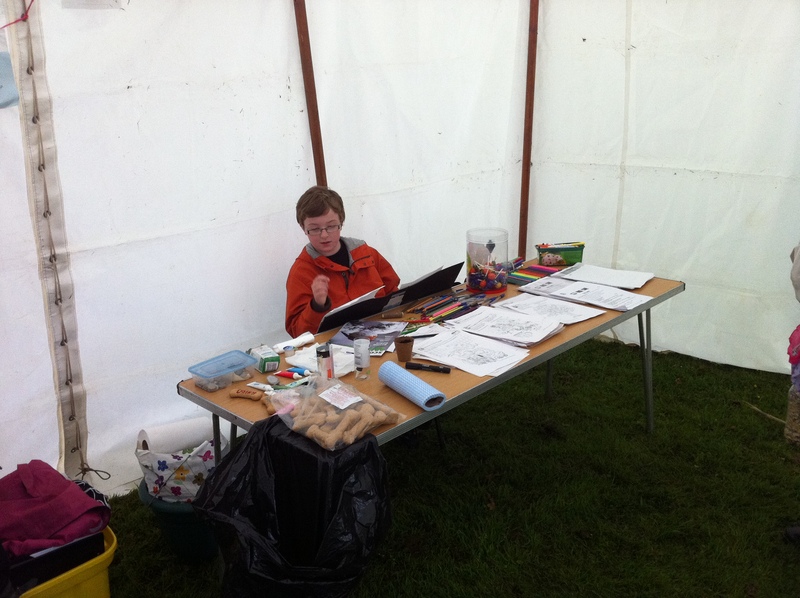 The refreshments stall was well used throughout the day selling tea and coffee and a selection of snacks. The other large tent held our information sheets with people from Palacerigg giving away free seed samples and our own Beth McCormack selling her excellent glass creations. There were historic tours of the park and the day was rounded off by a nature ramble. 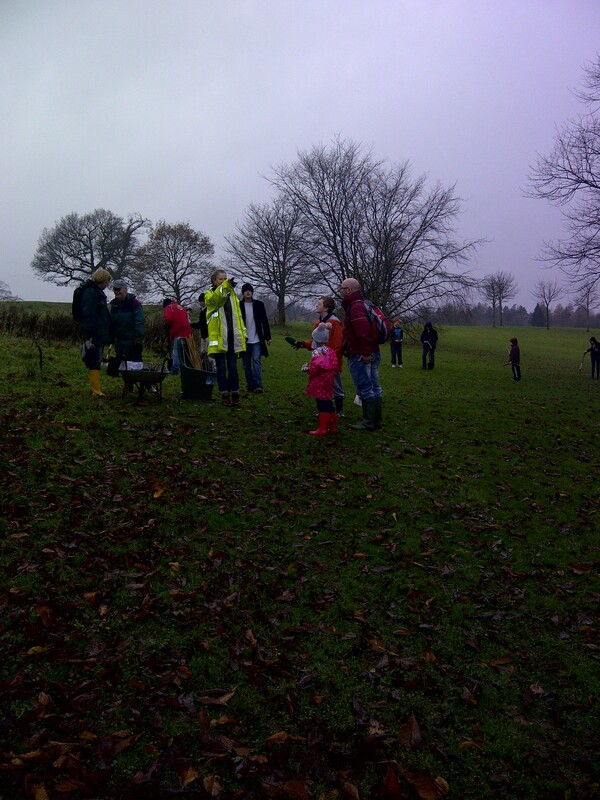 Well over 100 people turned up on the day despite the weather which was changeable to say the least. Ultimately a good time was had by all and the raffle for the decorative cake will be drawn at our next meeting early next month. Plus we had some coverage on the STV Cumbernauld site too! All in all a great day with so much going on and no child left empty handed as they were all encouraged to create something on the day. H eavy storms have battered the park over the past couple of days. 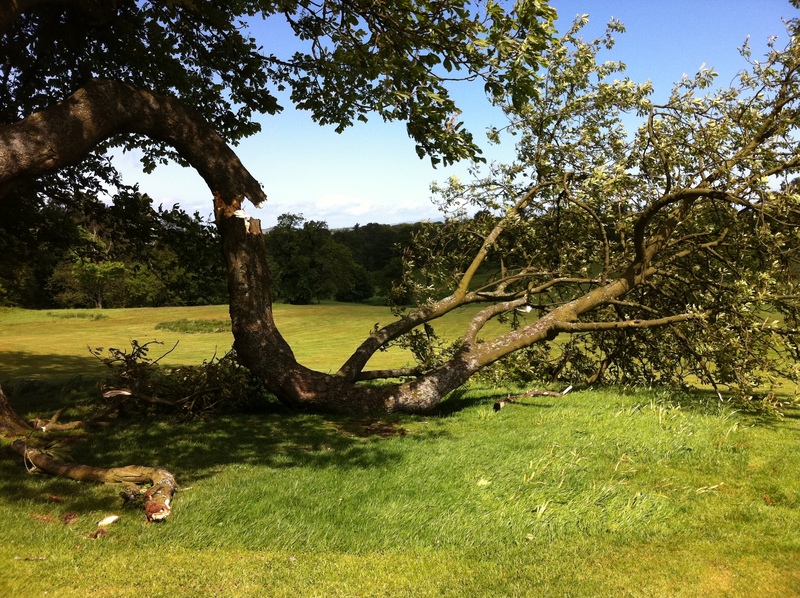 One of the biggest trees in the park behind Cumbernauld House has been felled completely. The iconic tree at the top of the hill in the park has had it’s largest branch which was climbed on by generations of Cumbernauld children knocked down completely which is a real shame and we’re sure that many residents will remember climbing here as children. 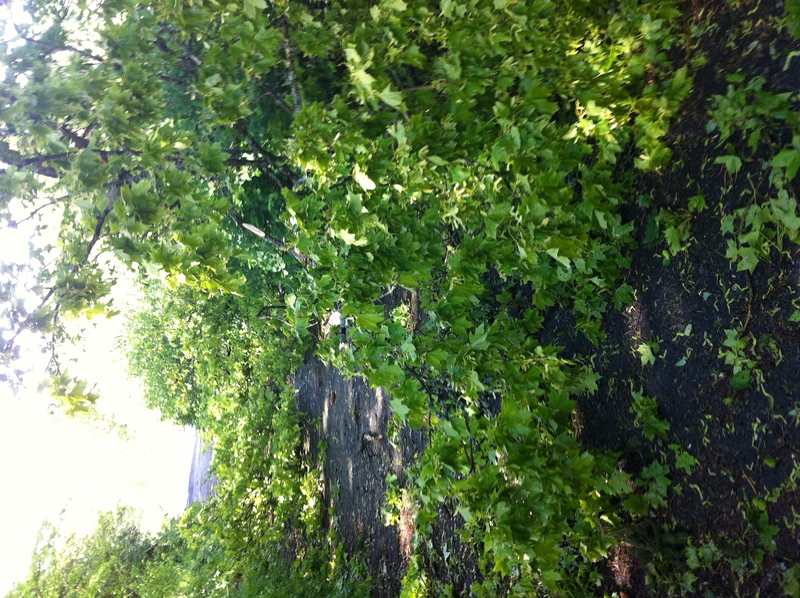 Lots of branches are off of the trees too with the path at the back of the allotments completely covered by branches and leaves. really heavy areas of it. The council will have their work cut our trying to tidy up this mess that’s for sure. It’s going to take fair amount of work to clear up the park and it’s going to look a little differently when it’s all done that’s for sure. Minutes for the October meeting are now online at this link. This is a project we’ve been working on to help to bring the history of the park to life. The Friends are putting together special information boards to bring the history and natural environment to life in the park. We’ve been lucky enough to gain a grant from the Big Lottery fund in order to pay for the work to be done. Look forward to them coming soon to the park.